Back on set for season 9! I am totally with the whole Rickyl-thingy but I sure like these 2 together! More than I expected to… I mean – it’s “Negan”! But hey, Negan is so funny, yet scary. 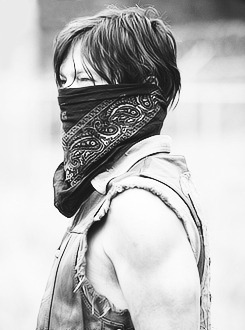 And with “Daryl”, holy hell! Normy with Diane Kruger photographed by Eric James Guillemain for GQ Italia. Norman and Jeffrey Dean Morgan attend Las Fallas de Valencia in Spain, while filming an episode of ‘Ride With Norman Reedus′, on March 16th, 2017. Norman dragged off the Sky News Sunrise set. I find this freakin’ hilarious! I just love them together! What do YOU like the best? Normy with long hair or with short?